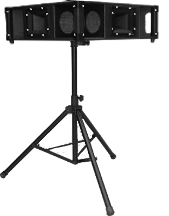 The ORBITED skamp on a tripod or even the kartTable with folding legs is perfect for a choir or member who travels to share in praise worship with sister churches. Pair the ORBITED skamp with the bassLite subwoofer for more bass sound you love. It's perfect for both your church worship servies as well as for travel. Now we're talking! 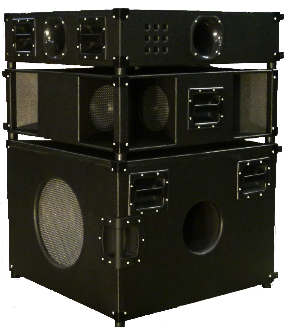 Here's a system large enough for a deep bass sound but still portable enough to travel or maybe just move from sanctuary to reception room. 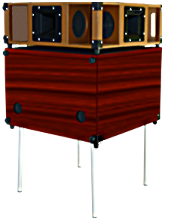 Stack the ORBITED skamp with the bigBass for an even deeper bass sound. It doesn't get better than this! Don't have a need to move the speaker system? 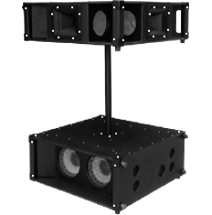 Then this amazing subBase with its deep, rich sound was especially designed for your House of Worship. 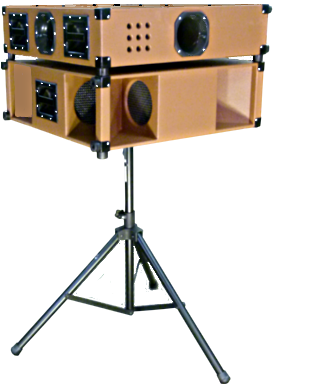 Just add the ORBITED skamp to the subBase to create the most beautiful celestial sound worthy of your praise service. It's the perfect stationary speaker system that is still easy to move. Micing is NOT needed for room-filling sound.